Does anybody know Hiroh Kikai? I had never heard of him until I saw his book “Persona” last year. 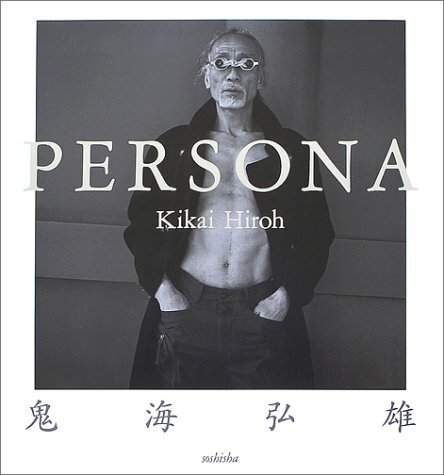 The photobook “Persona” contains portraits of people from Asakusa/ Tokyo, whom Hiroh Kikai photographed for three decades since 1973. 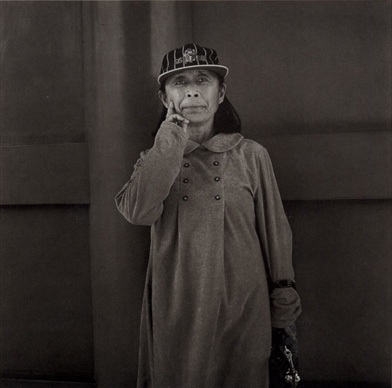 “Persona”, published in 2003, is a large format book and the black and white portraits of people from Asakusa are printed in quadtone in striking quality. 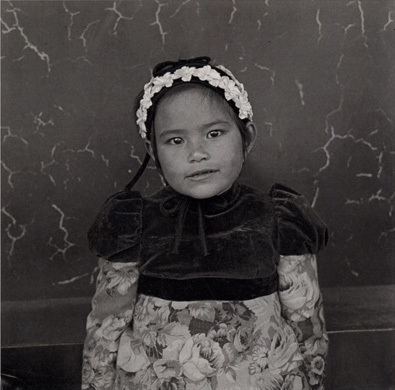 The book won the 23rd Domon Ken Award and the 2004 Annual Award of the Photographic Society of Japan. Unfortunately, it is sold out and it took me some time to find it in Tokyo. A new, smaller version of the photo book was published last autumn. Today Asakusa is best known for its Senjoji Temple, a temple famous for Tokyo’s biggest festival taking place late spring every year, while in the first half of the 20th century Asakusa was the major entertainment district of Tokyo.1)A very vivid description of the bustling live of Asakusa in the 1920th can be found in Yasunari Kawabata’s novel The Scarlet Gang Of Asakusa. That Asakusa still isn’t a faceless neighbourhood inhabited mostly by salarymen and their families show the monochrome photographs by Kikai. His ‘personae’ are all individual characters, but not of the flashy, fashion addict type. They are mostly ordinary people with touch out of ordinary, who emanate the aura of something special, of living an unadjusted life in a society which asks for maximum conformity. Apparently, when living in a congested city of over ten million people, individuals develop a yearning to discover their own identity. Mr. Kikai’s camera captures these people of Tokyo with great accuracy. He accomplishes this feat through quiet contemplation of his subjects, an inimitable style born from his understanding of human nature. 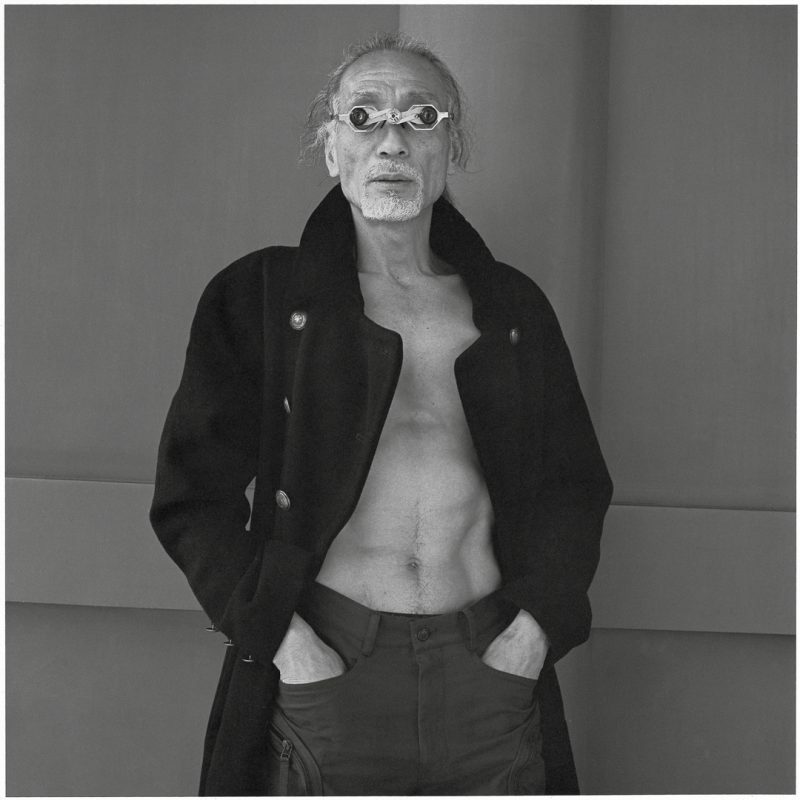 Perhaps this explains why Hiroo Kikai´s subjects are able to liberate themselves from constrains such as vanity and appearance when they stand in front of the camera. 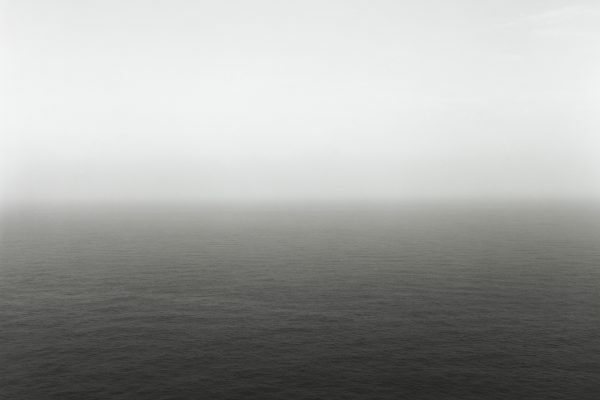 In fact, Kikai is one of the photographers – like August Sander or Diane Arbus for example – who find an amazing balance between their own strong visual idea and giving their subjects have enough space to exhibit a facet of their personality. 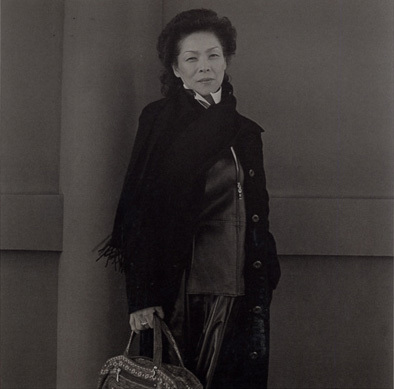 My work as a photographer began from a chance encounter with the works of Diane Arbus. The first collection of her work that I purchased gave me a jolt. On each page, strangers spoke to me of the unfathomable depths of life. 1. ↑ A very vivid description of the bustling live of Asakusa in the 1920th can be found in Yasunari Kawabata’s novel The Scarlet Gang Of Asakusa. You should look for the original version of “Persona”. The print quality is superb, but of course the book wasn’t cheap -around 10.000 Yen, if I remember right and I guess that today it costs more at stores like “M”. Please let me know when you have published your thoughts on Kikai. I am looking forward to read it. Thanks for the reminder on the Wikipedia entry about Kikai. It’s well done. 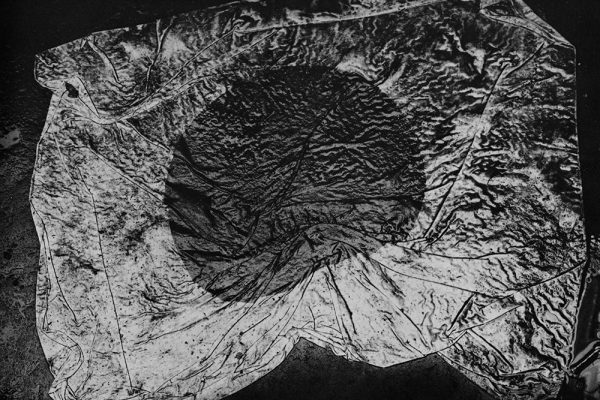 Hopefully there will be more on Japanese photographers at Wikipedia in the future. I am curious who the author of the text is? If you don’t want to reveal his name here I would be glad if you could send me an email. And yes, “Persona” contains an essay by the filmmaker Wajda. Kikai had an exhibiton in Poland and maybe he met Wajda at that time. to answer your question, yes I know him, though not personally :) I saw an exhibit of these photos a few months ago at the Nikon gallery in Ginza, just a portion of them. I subsequently bought the republished version of the book (the cover of which you show above), although for some reason it doesn’t have my favorite photo, of the old woman in kimono with a Pentax around her neck. I also have his entry in that “in-between” series of books that came out last year (photos shot in Malta), although frankly it was rather disappointing compared to the Asakusa stuff. I have an essay I’ve written in my head about Kikai, if only I can find the time to put it to blog, so to speak. btw, is that the great Polish filmmaker Wajda that you’ve quoted above? The smaller reprint version of `Persona` was my first exposure to Kikai. The print quality is as good as I would expect from any book, at any price. The work of course is brilliant – all 191 plates. Thoroughly recommended, and still available. I do not know Kikai, but I know Kurt. Does that count? Skorj. Hola, excelente trabajo, muy profundo. Me resulta más interesante que el de Avedon. 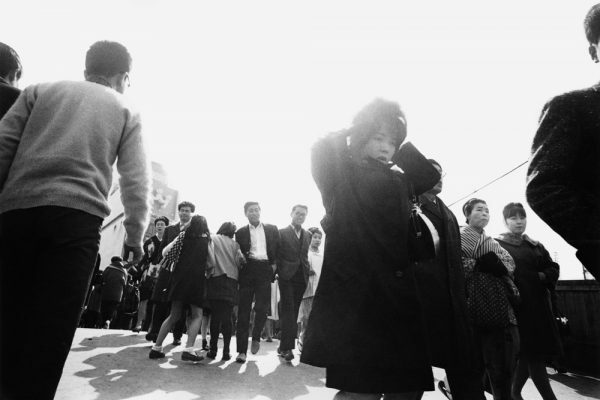 Hiroh Kikai es un fotógrafo al que hay que voy a seguir de cerca.